If love is forever, what better expression of it, than this beautifully created Egg. 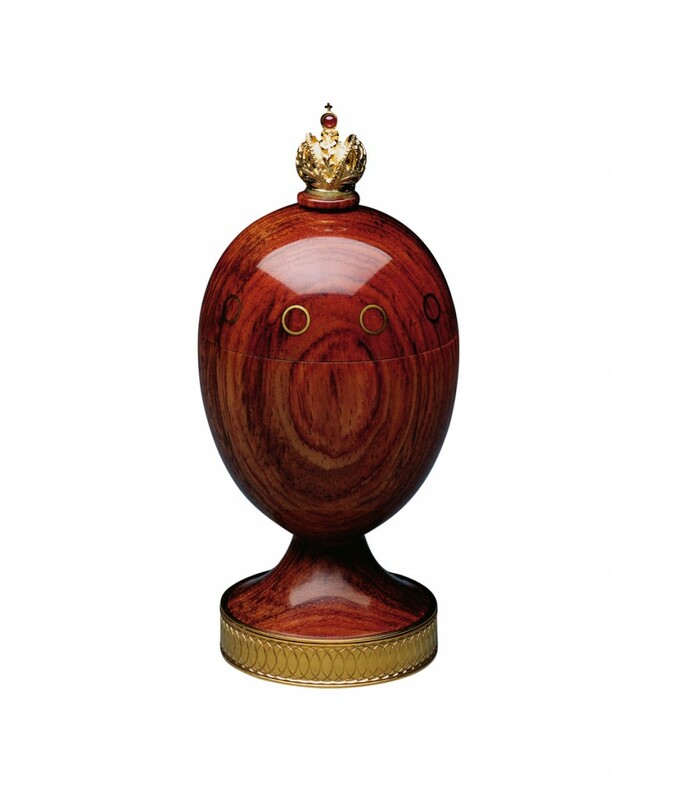 It is made of bubinga wood from Central Asia and The Imperial Crown of Russia is of vermeil with a cabochon ruby. 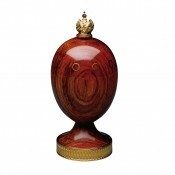 The base is 24 carat gold plated and ornamentally turned. 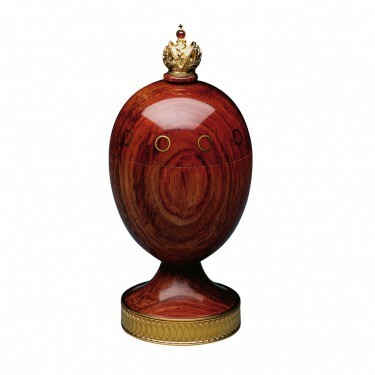 The body of the Egg is finely inlaid, and concealed in its heart is a specially designed compartment of African blackwood that will safely hold a precious ring. Materials: Bubinga wood, cabochon ruby and 24 carat gold.